What does woke mean? A list of the slang your teen will be using in 2018. A cheat's guide to the internet slang your teen will be using this year. You may have just worked out how to tell bae their hair is #goals; but words like lit, goals, slay and bae are so 2017 – here are the hottest buzzwords of 2018 according to the witty wordsmiths at Things by Bean. Often used to describe someone who is over the top for completely unnecessary reasons. Frequently used to refer to perfectly arched eyebrows, it can also be used to describe any part of your makeup that is particularly well done—or just anything that’s perfect or #onpoint. Basic is used to describe someone devoid of defining characteristics that might make a person interesting, extraordinary, or just simply worth devoting time or attention to. Yikes. Woke has been around for a minute, but it’s poised to become more mainstream in ‘18. Think of ‘woke’ being the inverse of politically correct. If P.C. is a taunt from the right, then woke is a back-pat from the left. Woke statements might also low key stir up drama. The more woke one is, the more sympathetic and knowledgeable one is about a topic or type of person. It’s often used to describe a man who is also a feminist. Low key can be used in place of the formerly popular phrase ‘down low,’ meaning something you don’t want everyone to know about. Millennials needed to create a verb that described any and all duties associated with being a bona fide grown-up. This means paying taxes, working through the summer instead of going on holidays, changing your car oil, playing nice with coworkers, and having “adult” concerns. The last couple years have been all about FOMO (Fear of Missing Out). In 2018, people will finally feel empowered to open up about their JOMO – Joy of Missing Out. JOMO is all about choosing to do what makes you happy instead of saying yes to every event because you feel like you have to. Unlike FOMO, JOMO stems from a positive emotion rather than a negative one! To be exceptionally bitter, pissed, upset or agitated. This particular irritation generally stems from a past event that you still haven’t gotten over. A word often used when someone is tired, exhausted or fed up. 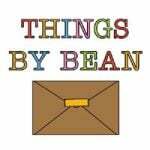 This post was written by Things by Bean. You can visit their website here. Listen: To catch up on what parents are talking about right now, listen to the latest episode of This Glorious Mess below.